Culturistic celebrates diversity by highlighting the beauty of national art forms and diverse cultural backgrounds. I am someone who finds immense joy in listening to an African song, learning about Middle Eastern people, eating European cuisine, watching a Latin American movie, or experiencing Asian art and culture. 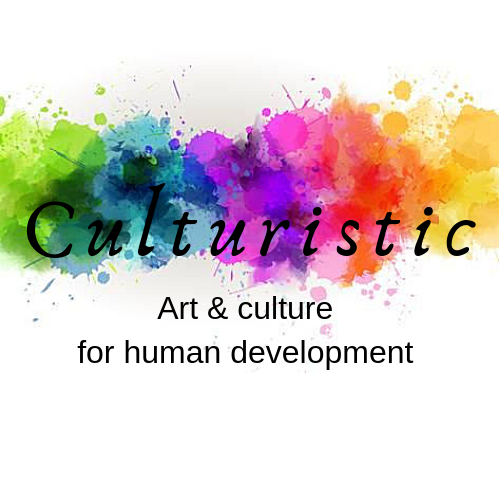 Culturistic was born out of a passion to tell the human stories behind social, economic and sustainable development through the use of artistic and cultural expressions. It aims to shed light on the extraordinary places, peoples, and programs our magical world has to offer. Art and culture enable different people to communicate through unique forms of self-expression which transcends geographic boundaries and socioeconomic divisions. Through artistic forms and cultural expressions, the world gains a unique ability to build bridges between communities and people from across the globe. There have been numerous documented studies which link art to human development through its positive effect on education, health, and emotional well-being. Students who take art and music classes have been found to have lower drop-out rates and better test scores. Patients have been shown to respond better to treatment when adding art therapy to their daily regimens. Art and culture have spurred immense economic development through the export of industry outputs, tourism, and vocational handicrafts. Through art, communities gain the ability to foster strength and resilience in the face of deprivation, political upheavals, and physical and psychological challenges. This is a project which aims to document 195 art and cultural expressions from 195 countries around the world. It also aims to highlight the latest news, events, and trends in art and culture for human development from around the world.